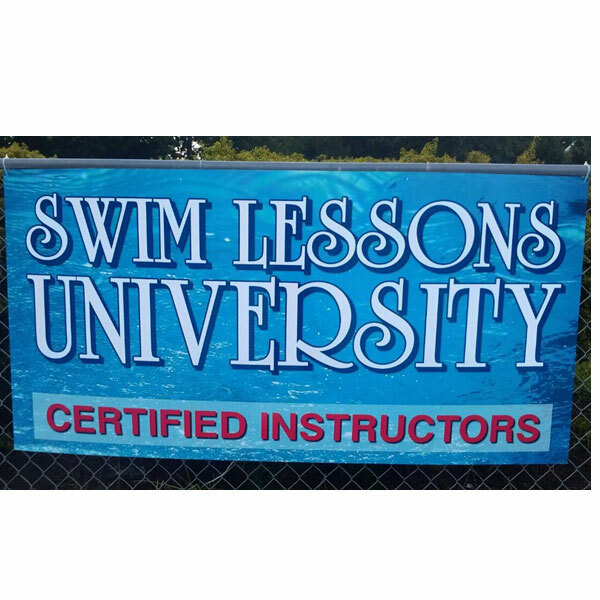 Let your customers know that your swim instructors are Swim Lessons University certified! 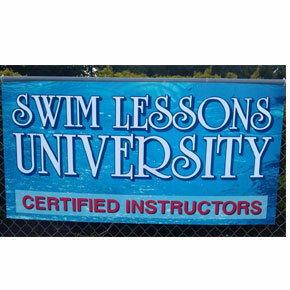 Hang this great looking, 3’ x 6’ Banner up at your facility! 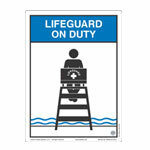 The 13 oz., heavy-duty vinyl banner comes with grommets on all four corners for hanging purposes. 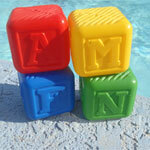 It is printed on digital printer with solvent based ink. Banners ship in 7-10 business days. Order yours today!